This post contains affiliate links. I receive a small compensation for any purchase made through these links - thank you for your support! 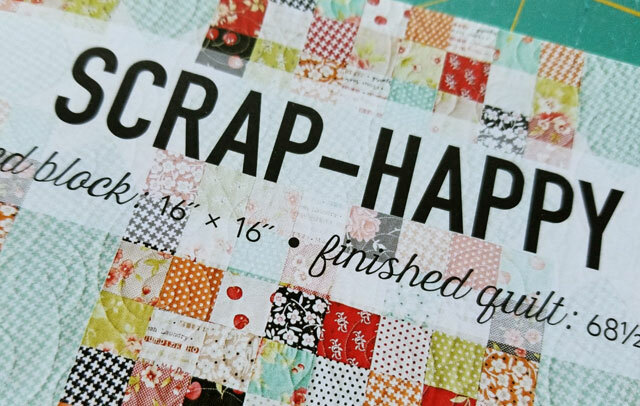 Now that I have Slots all of finished, I'm moving on to my next project, Scrap Happy. This is another pattern from the Charm School book, and this time I'll work with these pink and purple charms. Not too many of these colors left in the bin, as a lot were used in other projects. I must say, though, I'm getting close to having a couple of stacks of charms that I just don't want to use. Call it a breaking point. But I will proceed on, and see how many more projects I can make before I've finally had enough. It's really getting time to move on! 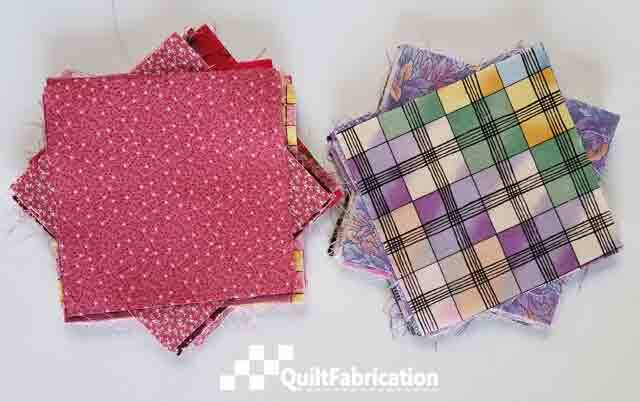 I also spent a ton of time this weekend compiling a list of all the quilt blogs you wonderful readers suggested - and it's a long one. Then I thought I'd add the blogs I follow that weren't mentioned, and it's turning out to be just as long a list! Now I feel that if I don't put all the blogs I follow on the list, someone is going to get offended. Any suggestions on how to handle this?? Pick my top 10? 20? I don't think anyone would be upset if you don't follow one of their favorites but what you could do is compile a list of all the blogs suggested and post them. I personally would enjoy seeing and looking at a list of referred blogs. Now that's a good idea, because otherwise, one post would be really long. And there are those blogs I have relationships with, and those I just follow to look at eye candy! How about the top 20! Could it be that some of the blogs on your list are not active any more. That would eliminate some. Then highlight a few every week as Tish suggested. I know when I find new ones on a blog hop, I find it hard to check them all out at once. I think I might do a bi-monthly list of five. Gives everyone a chance to check them out. I would like to see them all too. How about a tab at the top of your page with a list of all of them and maybe put a date when last updated? Also, maybe you could feature a favorite blog of the week? Of course, yours is one of my favorites! Now I like that idea Pamela! I've been mulling over a few blog changes, and adding a tab would be a great idea. Have to think about how I'll make it all work, but it would definitely be a great resource. While some great ideas have been offered, I would add another factor in my decision: What would be the most time efficient method for YOU? Pamela's idea is great - I've wondered how to add tabs to my own blog. Tish's idea of a disclaimer is great as well. I'm learning as I watch you go through this process. Your transparency and thoughtfulness are great examples for me!